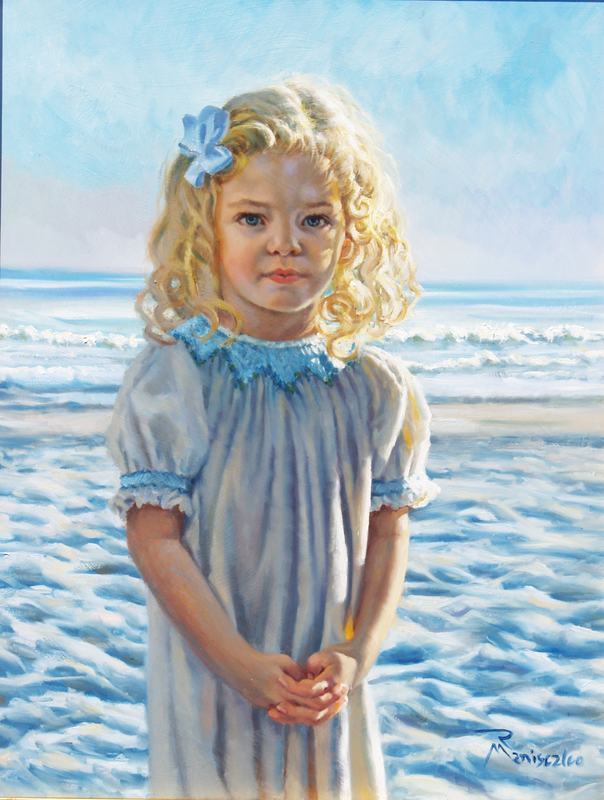 My goal as a portrait painter, an an artist, is to create paintings that will stand the test of time as compelling works of art, alive with the personality of both artist and subject. I think of my work as a celebration and affirmation of life. Each portrait is an adventure, exploring the unique character and personal strengths of my sitters. A love of people and a deep interest in the human experience is key to my work. It’s not about how you look, it’s about who you are. My training as a painter, actor and musician have increased my interest in capturing this quintessential dynamic with authority, authenticity and compassion. Over the years I’ve come to appreciate the transubstantiation of image-to-feeling inherent in a great oil-on-canvas portrait. Nothing else has the power to capture the personality and character of the subject for the ages. Being a portrait artist is about exploring the lyricism of character and dynamics of personality within the painted surface. More than a photograph made to look like a painting, my portraits are the real thing. My larger goal as an artist is to explore the full range of my medium, which is light. I have developed several bodies of work exploring a variety of structures and subjects, but the poetry of light on form keeps coming back into my work. Light is the force that reveals the subtleties of nature, particularly the human condition. My work is all about what it is to be human and our journey toward the light. Another theme which runs through all my work is something I call surTHRIVal. We are all on a journey of survival, to make the best of what we are given. My purpose as an artist is to find and celebrate the many creative ways humans find to overcome and grow as a result of this journey.